A Global, Grassroots Conversation about Zionism. Join us in moving discourse away from politics and partisanship and towards identity and ideology. The Menachem Begin Heritage Center and Prof. Gil Troy are inviting you to be inspired by the past, discuss its relevance to Israel and the Jewish world today, and discover where your own Jewish identity fits in to the Zionist big tent. 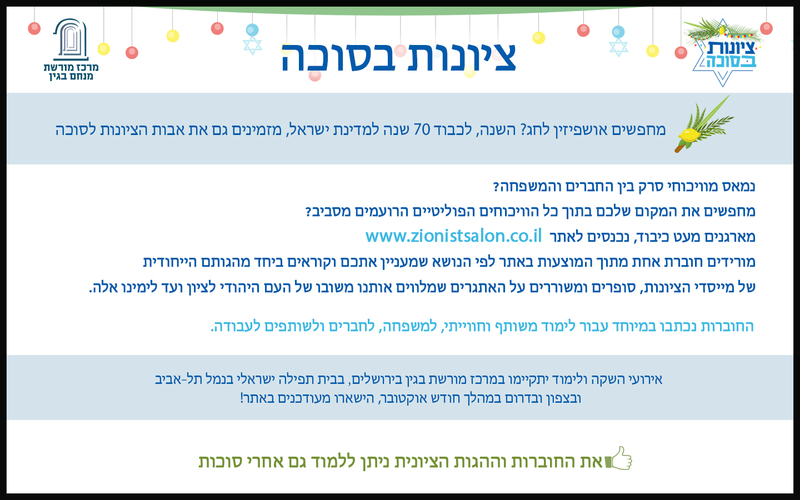 The goal of the Zionist Salons is to further our intellectual understanding of Zionism and deepen our emotional connection to the great Jewish project of our times - the State of Israel. 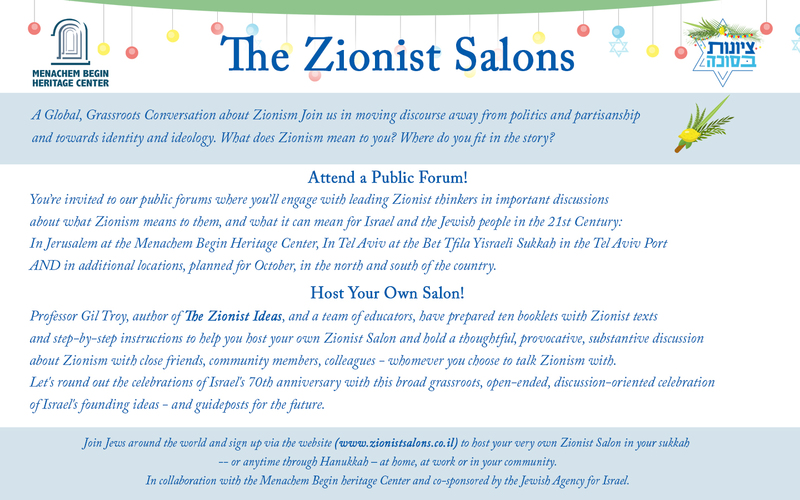 With this goal in mind, it is important that the Zionist Salon be an interesting, informative, comfortable and open-minded event, encouraging people to participate. What does Zionism mean to you? Where do you fit in the story?